Grammy Award-winning “Soul Queen of New Orleans,” Irma Thomas brought her rythym section to the performance studio on October 29, 2010 to perform live on KPLU’s Blue Plate Special hosted by Nick Morrison. 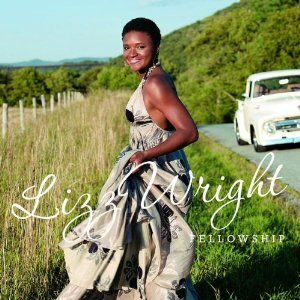 Fellowship continues Lizz Wright’s celebrated collaboration with acclaimed singer-songwriter Toshi Reagon, who co-produced the new album and wrote/performed on a number of tracks on Wright’s previous release. 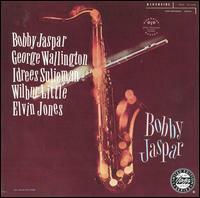 The record features several traditional songs that Wright grew up with in church including “Amazing Grace,” “Sweeping Through the City,” and a gospel medley featuring “I’ve Got a Feeling” and “Power Lord.” Wright also covers a number of songs by noted writers including “Presence of the Lord” by Eric Clapton and “In From the Storm” by Jimi Hendrix. Bernice Johnson Reagon performs on two tracks, including “I Remember, I Believe” which she composed. Lizz Wright, whom The Wall Street Journal calls “a thoughtful, sensitive soul,” has received critical praise from Time Magazine, NPR, Ebony, Essence, New Yorker and Billboard, and her music is featured in several major television shows. Wright was born in the small town of Hahira, Georgia, to a local minister. She grew up traveling through the South singing with her parents and siblings. 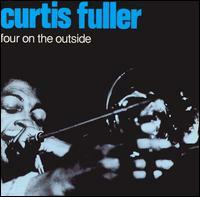 She first came to national attention in 2002 when she performed in a series of Billie Holiday tribute shows. Since then, she’s released Salt (2003), Dreaming Wide Awake (2005) and The Orchard (2008), all three critical and fan favorites. Born in Quivicán, Cuba in 1941, Chucho Valdés is one of Cuba’s most famous pianists, bandleaders, composers and arrangers. Perhaps best known for founding the famous Latin jazz band Irakere in 1972, Chucho’s illustrious career has also garnered him 6 Grammy wins and 16 nominations over the past three decades. His most recent win, a 2009 Latin Grammy for the record Juntos para Siempre, saw him collaborate with his father, Bebo Valdés, a major player on the Cuban jazz scene in his own right. 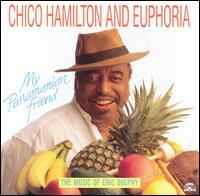 Chucho Valdés has recorded over eighty CD’s and performed with everybody who is anybody in the world of jazz; from Herbie Hancock and Dizzy Gillespie, to Wynton Marsalis and Chick Corea. His reputation as one of the greatest living Cuban jazz pianists has earned him appearances on the great stages in music, including Carnegie Hall, The Kennedy Center and The Hollywood Bowl. 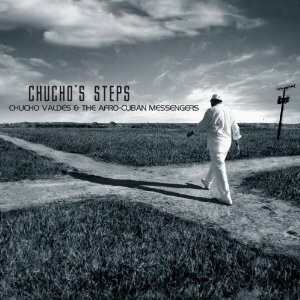 Chucho’s new album with the Afro-Cuban Messengers, which will extensively tour the USA in October 2010, marks Chucho’s return to the US for the first time in 7 years. By now, there can be no doubt that pianist-composer Iyer stands among the most daringly original jazz artists of the under-40 generation,” writes Howard Reich in the Chicago Tribune. The American-born son of Indian immigrants, VIJAY IYER (pronounced “VID-jay EYE-yer”) was described by The Village Voice as “the most commanding pianist and composer to emerge in recent years,” by The New Yorker as one of “today’s most important pianists… extravagantly gifted,” and by the L.A. Weekly as “a boundless and deeply important young star.” After the phenomenal success of The Vijay Iyer Trio’s 2009 release “Historicity” – the `800-pound gorilla on year-end best-of lists’ (L.A. Times), Iyer returns with Solo. The document of Iyer’s continuing dialogue with history, both his own and that of the music to which he has dedicated his life, Solo encapsulates both Iyer’s career and his distinctive approach to his instrument. 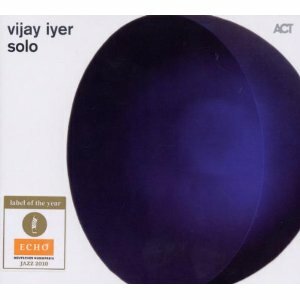 The diversity of Iyer’s experience infuses each note of Solo. The first section of the record centers on music of the past, presenting Iyer’s interpretation of music from the jazz canon. In this way, the disc might be viewed as an extension of 2009’s Historicity. 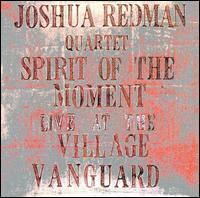 His own compositions, dominating the album’s second act, demonstrate how completely he has assimilated and brought his own vision to creative music. For Iyer, the new album embodies both departure and return. It is a monumental step forward and a defining moment in Vijay Iyer’s artistic life. 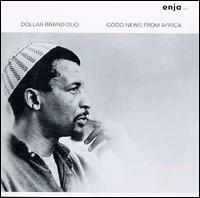 With this powerful, subtle homage to Monk, Ellington, Taylor, Hill, Muhal Richard Abrams and Randy Weston, Iyer joins the ranks of these and many other artists who have recorded great, enduring, original solo piano statements. 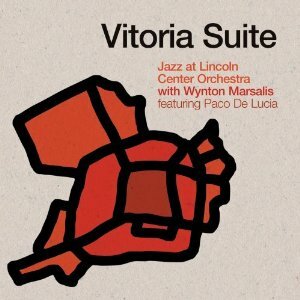 Emarcy is pleased to announce the release of the Jazz at Lincoln Center Orchestra with Wynton Marsalis’ Vitoria Suite, available on October 19th. 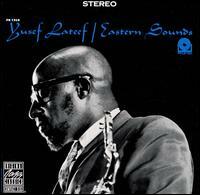 The two disc set is a new extended work by Marsalis that uses the impulse of the blues as a foundation to jointly explore the music of two worlds and two cultures: the jazz and blues of North America and the indigenous music of the Basque region and flamenco of Spain. The Suite isn’t only about American musicians experimenting with Spanish forms – it is also about collaborating with leading Spanish players, specifically the legendary flamenco guitarist Paco de Lucia, whose contribution is a testament to the power of inter-cultural collaboration. 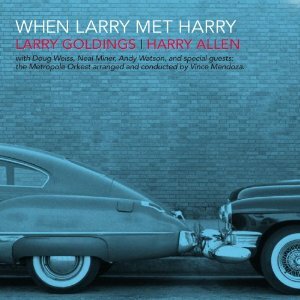 Larry Goldings and Harry Allen form a stylish partnership featuring some gem-like standard interpretations alongside beautiful, melodic, new compositions. 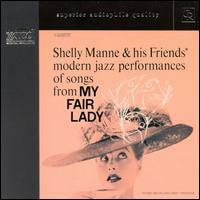 Harry Allen’s effortless phrasing meets Larry Goldings’ impeccable piano playing, with a gorgeous Vince Mendoza string arrangement of Goldings’ composition ‘Benny’s Dream’ performed by the Metropole Orkest. Best known as a leading jazz organist, this is Goldings’ first record to predominantly feature him as a pianist since 2006’s ‘Quartet.’ Drummer Andy Watson (from Jon Hendricks’ band) joins the fun. 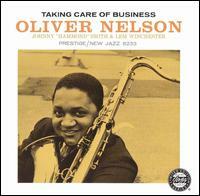 Bassists Doug Weiss (Chris Potter / Al Foster) and Neal Miner (Jane Monheit / Stacey Kent) trade duties on various tracks. While legendary trumpeter and bandleader Doc Severinsen is 83 years old, I find that phrase hardly applicable after seeing him in concert at the Kirkland Performance Center on October 16th. Not only are Doc’s chops still in good shape, but the rest of him seems to be just as strong. After retiring to Mexico, Doc heard guitarist Gil Gutierrez and violinist Pedro Cartas, who head up the band El Ritmo De La Vida, and immediately knew who he would be spending the next few years with touring and recording. For those who associate Severinsen with big bands, this setting would surprise you. The show featured a quintet with a repertoire of everything from gypsy jazz, music with a heavy influence from Spain and South America, and jazz standards. 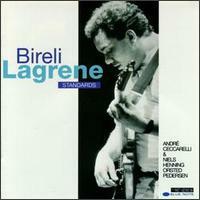 Many of the arrangements were done by Gutierrez, who is a world class guitarist, and were absolutely beautiful. The incorporation of the trumpet into these tunes was seamless, not only because of the arrangements, but because of Severinsen’s ability to adapt to the feeling and mood of each song. His range on the trumpet, as well as the speed of his fingers were still impressive, but what was truly mind-blowing was how great his tone still was. Severinsen boasted long, full lines with pitch that didn’t waiver in the high register. I didn’t walk away from the concert worried that it would be the last time I would see Doc. He presents the attitude that he doesn’t feel like aging, and his body seemed to accept that. Even if he does retire again sometime soon, he jokingly invited the whole audience to visit him in Mexico, where and the band would play host. Something tells me that I, at 31 years old, might have a tough time keeping up with him down there. Hopefully these lists will inspire you to seek some of these albums out that perhaps you haven’t heard before, or revisit an old favorite. And as always, we want your thoughts on any or all of these albums. Either way, let’s get started with this week, and in no particular order, albums 731 through 740. When The Manhattan Transfer (Tim Hauser, Cheryl Bentyne, Alan Paul, Janis Siegal) came into the KPLU/Jazz24 performance studio, they had literally just gotten off an airplane. A little jet-lagged but ready to sing, they kicked of the session with their version of Moten Swing. When the song was over, interviewer Abe Beeson asked, “Is it that easy…once a song starts…to get happy?” Their answer, as you’ll hear, was ‘yes.’ For nearly 40 years their love of music has kept The Manhattan Transfer happy…and made them internationally famous. Along with Moten Swing, the group performed I Know Why and ended the performance with a hidden gem called Foo-Gee, their tip of the hat to The Ink Spots. Tuesday I had the opportunity to interview 16 year old vocalist Nikki Yanofsky, and hear her sing a few songs for us with her band. 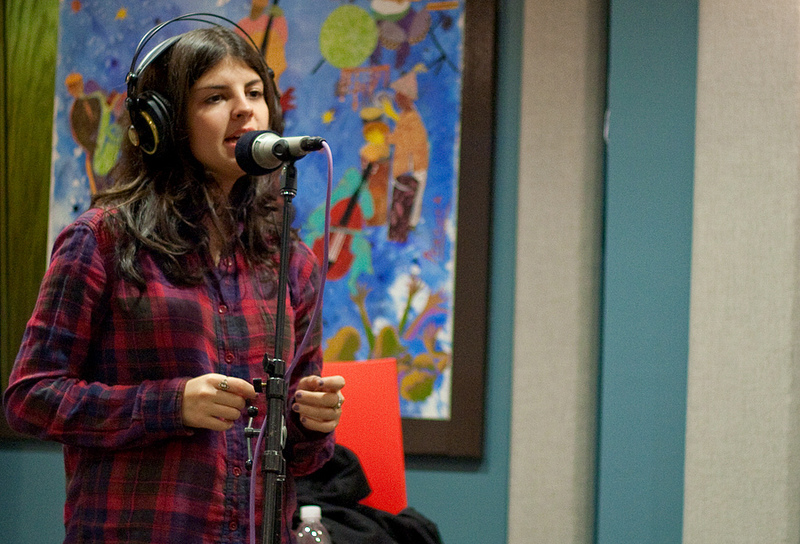 Jazz and pop singer, Nikki Yanofsky, is a very cheerful 16 year-old. And why not? As you will hear in this interview, she says that as soon as she learned to talk, she began to say she wanted to be a singer. It was something she began to pursue right away. 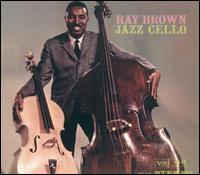 At age 12, she was the opening act at the prestigious annual jazz festival in her hometown of Montreal. Earlier this year, millions of television viewers got to see her sing at the 2010 Winter Olympics and she’s now touring the world as one of the most prodigiously talented singers of her generation. So, yes, Nikki Yanofsky has every reason to be cheerful and it certainly shows in this performance/interview.